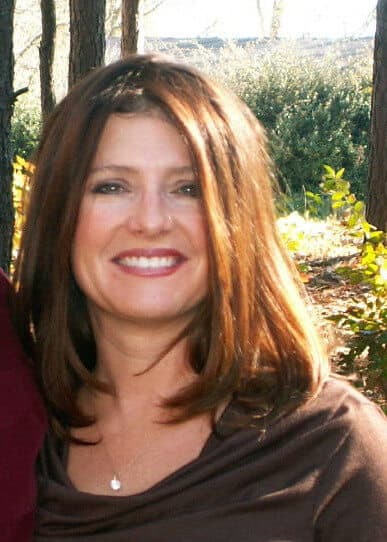 Dawn M. Echols is a licensed professional counselor and certified professional counselor supervisor offering clinical counseling and life coaching, as well as brief solution-oriented therapy for conflict resolution using mediation techniques. She specializes in anxiety, aggression, conflict, domestic violence, relationship issues, personal growth, spirituality, depression, and divorce recovery. Dawn sees clients for problems of living as well as a variety of disorders. Ms. Echols works extensively with couples as well as individual adults. Her therapeutic approach includes exploring goal directed behavior and social interest while developing insight through mindfulness. Her professional background includes corporate and entrepreneurial experience in music, sales, & finance. This experience honed her people skills and led her in the direction of psychology. Dawn holds degrees in marketing, music, and clinical psychology. Her counseling work includes private practice, Employee Assistance Programs, addiction, health, and court-ordered treatment for offenders in domestic violence and anger management. Ms. Echols is credentialed in clinical supervision of emerging counselors and manages a staff of counselors at Dawning Phoenix. Ms. Echols is trained in conflict resolution and is a formerly registered ‘neutral’, or mediator with the Georgia Department of Dispute Resolution (GODR), with a focus on divorce mediation and domestic violence cases. She conducted originally authored research in domestic violence and has held certification as a facilitator for Family Violence Intervention Providers, a state-approved treatment program for aggressors in family violence. Ms. Echols has been an examiner in psychological testing under a qualified psychologist. She has been a certified DUI instructor in Georgia’s approved model, ‘Prime for Life’, developed for individuals struggling with substance abuse. Ms. Echols has taught psychology at the University of North Georgia (formerly Gainesville State College) and has served in volunteer capacities with Family TIES Gainesville, Forsyth County Domestic Violence Task Force, and the Licensed Professional Counselor’s Association of Georgia, of which she is a long-time member. Other professional affiliations include NASAP (North American Society of Adlerian Psychology) with a concurrent membership for Georgia (GSAP). Ms. Echols is licensed in the state of Georgia and obtained additional voluntary qualification by National Clinical Mental Health Counselors Exam (NCMHCE) in 2014. Dawn speaks, trains, and writes about topics related to psychology and volunteers to causes dedicated to the prevention of abuse in relationships. She regularly contributes in training or writing for professional associations and has presented at various conferences throughout the state. Her therapeutic orientation is Adlerian, a pragmatic approach which is often utilized for individuals, couples, and families. It examines lifestyle, goals, and family constellation while analyzing behavior as purposeful. Social interest is considered an indicator of mental health; individually tailored social interventions may be suggested. While directive at times, therapists using this approach are collaborative, communicating a genuine interest in, and respect for, the client. Dawn Echols, M.S., LPC, CPCS is the owner and Executive Director of Dawning Phoenix, LLC – a coaching, clinical counseling, and conflict resolution practice with a growing staff of counselors. Her practice offers accessible fees by not accepting insurance and by providing opportunities to emerging counselors. See her blog here under “Latest News”. Additional professional profiles can be found on Linked IN, Google, business Facebook pages, and other directory listings.